How Often Do I Need Marble Restoration or Refinishing Services? The frequency of Professional restoration and refinishing services is determined by amount of foot traffic and cleaning procedures the stone is exposed too. We you notice scratches chips, etch marks (Obvious areas with little or no shine) or any other damage to your marble, travertine or Terrazzo surfaces you should have them repaired and re polished as soon as possible. Since commercial and residential buildings have different requirements, our packages and services are designed to meet each customer’s needs. The answer is we truly deliver the quality and level of customer service you rarely see but always deserve. Affordable high-quality products and services are what we are all about! 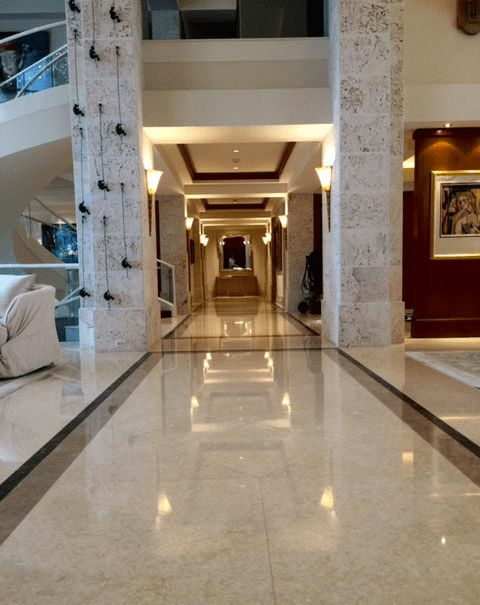 We are always working to improve our customers experiences with Great Finishes Inc.
We are based in South Florida and operate within the region. How Can I Get Your Services? It’s a simple and hassle-free process! Just contact us and we will be there for you.